Join the FIU Wind Ensemble for their season finale with a feature performance by new FIU faculty member, Karli Viña, as percussion soloist for “Concertino for Timpani, Brass, and Percussion” by Michael Colgrass. Enjoy other works by Bin Kaneda, Brahms, Sweelinck, Pierson, and Bach that are designed to make you reflect on life. Directed by Dr. Brenton F. Alston. 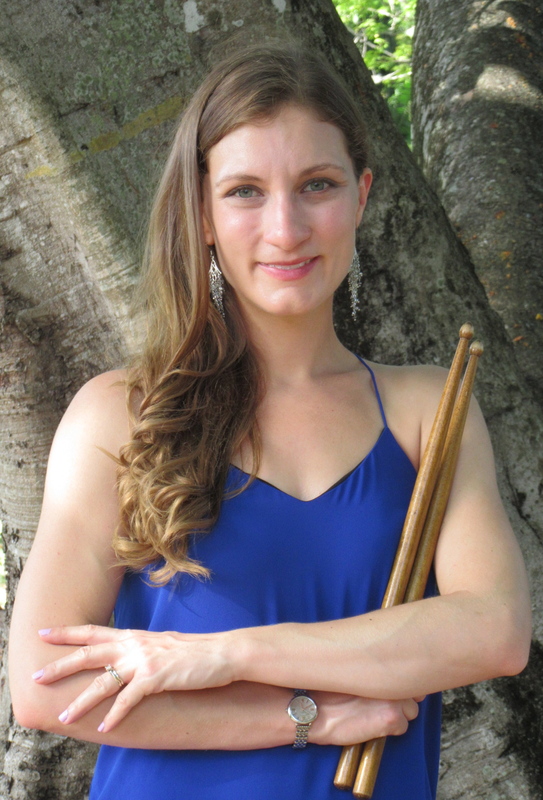 Praised by the South Florida Classical Review for her “dazzling” and “incisive” performance, Dr. Karlyn Viña is a dynamic and creative percussionist based in Miami, FL. As a performer, Karlyn has a passion for solo, chamber, and orchestral music, with a particular interest in contemporary music. Karlyn has an active freelance career in South Florida, performing regularly with the Palm Beach Symphony and Florida Grand Opera. Dr. Viña is proud to serve on the faculty of Florida International University, as well as Miami Music Project, Westminster Christian School, Ransom Everglades School, Florida Christian School, and South Florida Youth Symphony. Additionally, she maintains a busy private studio in Miami, teaching concert percussion, keyboard percussion, timpani, and drum set. Karlyn earned her Doctorate of Musical Arts in Percussion Performance from the University of Miami as a fellow of the Henry Mancini Institute. Her dissertation focuses on the analysis and performance of works for theatrical percussion. She also holds degrees in Percussion Performance and Music Education from The Boston Conservatory and the University of Maryland.